 This examination is being given to fill one per-diem vacancy in the Laboratory Department at San Joaquin General Hospital. Resumes will not be accepted in lieu of an application. A completed application must be postmarked or received online by the final filing deadline. PM Shift (2:00 PM to 10:30 PM) position. The ideal candidate for this vacancy will possess Generalist experience. Incumbent in this position will also be required to work a weekend schedule (once a month). · Makes a variety of microbiological examinations of specimens such as feces, urine, sputum and body fluids, including initial isolation of organisms, identification of organisms, antibiotic susceptibility testing of the organism and identification of parasites. · Makes biochemical analyses of blood and other fluids to determine the quantitative presence of creatinine, glucose, protein, calcium and other chemical components. · Makes qualitative biochemical and microscopic analyses of urine specimens. · Performs hematological examinations such as complete blood counts, differential counts, sedimentation rates, coagulation studies, platelet and reticulocytes counts, and bone marrow preparations. · Performs immunohematological examinations such as blood typing and cross-matching. · Performs special procedures required such as glucose tolerance tests, kidney function tests, and other similar tests. · Participates in developmental work for new tests and procedures. · Performs quality control procedures, equipment maintenance, and recordkeeping as required in the performance of tests and examinations; may assume responsibility for specialized tasks such as quality control reporting. · May act as lead worker over other laboratory employees and laboratory trainees. Note: A supplemental application must be submitted with employment application. Experience: One-year equivalent to Clinical Laboratory Scientist I in San Joaquin County. Licenses and Certificates: Possession of a valid license as a Clinical Laboratory Scientist issued by the State of California Department of Health. The principles, methods, materials, techniques and terminology of biochemistry, microbiology, immunology, hematology, immunohematology, and clinical microscopy as related to medical technology; recent developments, current literature, and sources of information in medical technology. Perform assigned tasks according to prescribed procedures; make accurate observations and records of test result; interpret test data and draw logical conclusions; correlate test results and evaluate validity; follow oral and written instructions in precise detail; perform examinations using manual or modern automated methodology; communicate effectively, orally and in writing; establish effective working relationships with physicians, hospital staff, and others; act as a lead worker over others; use initiative and be innovative in setting up new procedures.